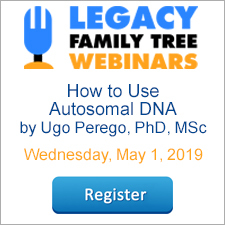 Watch the free previews at http://www.legacyfamilytree.com/Videos.asp. 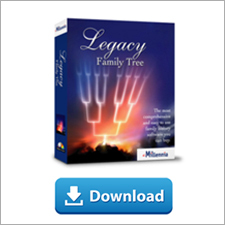 Purchase all 3 today for just $24.95 at http://www.legacyfamilytree.com/Redirect/Store-Videos.asp or call 1-800-753-3453 (U.S. & Canada). The video sets will begin shipping Wednesday, August 16, 2006.
Insider's Guide to Legacy: Tips & Tricks . There are some aspects of Legacy that even seasoned Legacy users are not aware of. This video will unveil hidden features and give you expert tips/tricks of features that you may already be using, but might not be using them to their fullest. 40 minutes. Recommended for intermediate to advanced. Picturing your Legacy: a Video Guide to Working with Digital Pictures in Legacy. Learn the "before-scanning-your-first-picture" rules. Learn how to add pictures to your family file and create beautiful reports, scrapbooks, and slide shows. Learn how to preserve your pictures and documents by creating shareable CDs. 52 minutes. Recommended for beginners to advanced.